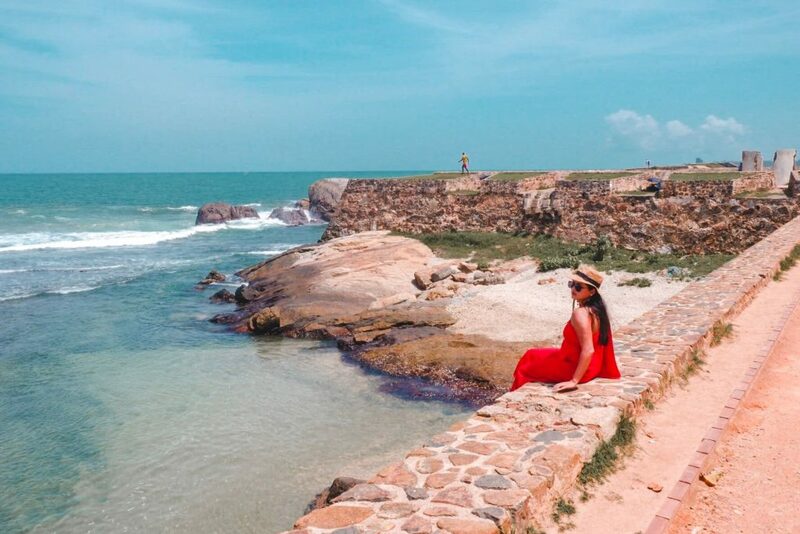 Located in the south-west coast of Sri Lanka, the Galle Fort is a listed UNESCO Heritage site for its well-preserved Fort city bearing old European architecture. 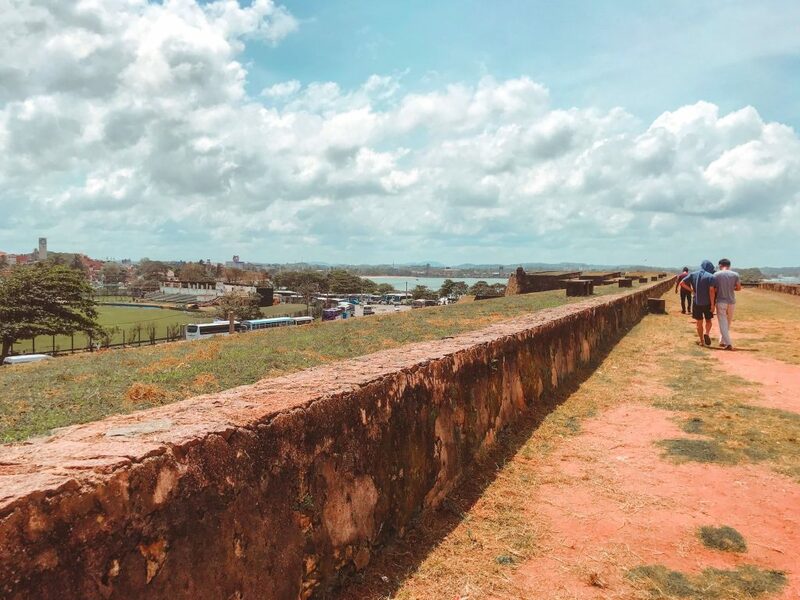 And, a walk around the Galle Fort is not an ordinary heritage tour. The Galle Fort today is a home to trendy and present-day restaurants and shops. It is a great place to take a walk and watch the sunset along the coast. All of these can be seen behind the almost untouched old colonial and European walls. But, of course, this is except for the old Churches in Galle which do not cease from being a house of worship. 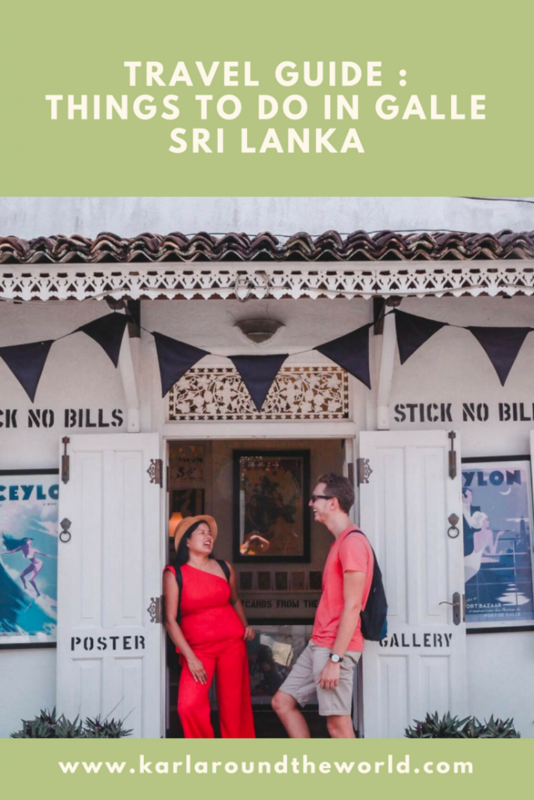 Below are more details about the thing you need to know when taking a tour around the Galle Fort and nearby attractions. 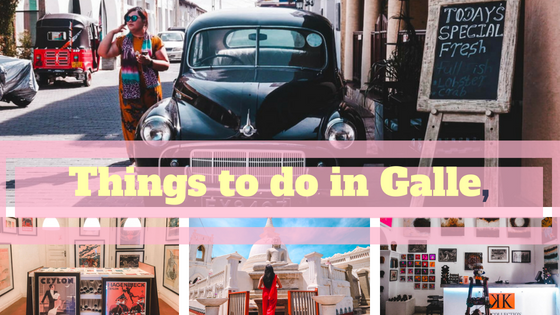 Specifically, you can find below how to get around, possible transportation going to, where to grab something to eat, places to visit in Galle, and other things to do in Galle and possible side trips. The train ride from Colombo to Galle traverses along the calming view of the coast. Don’t forget to sit on the right side. Also traversing along the coastal area are usually old buses bound to Galle. These are usually stationed in Bastian Mawatha Bus Station. More details about transportation when heading to Galle are shared further below. The Walls of the Galle is like a park where foreign travelers and locals walk around and chill. You can also get to play here and wait for the sunset. It’s a good nice and breezy walk along the coast. 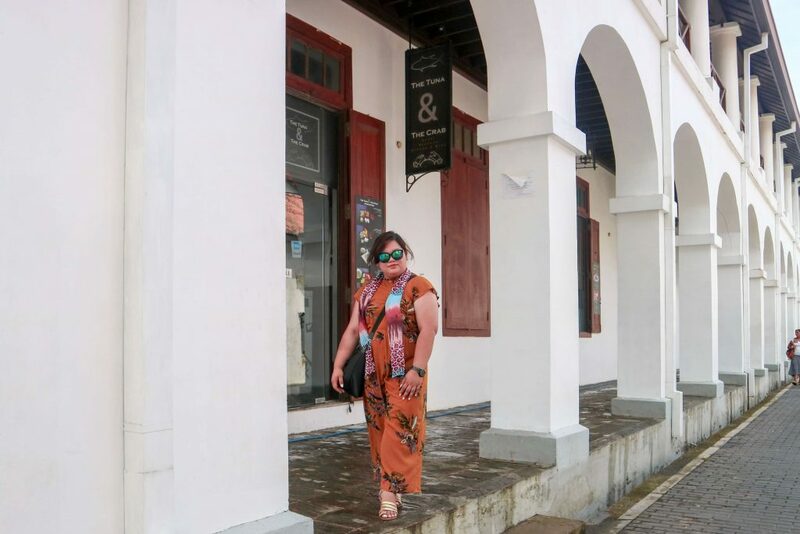 The Dutch town in Galle seemingly remains untouched for the past 300 years or so. The Dutch came in the lands of Sri Lanka after Portuguese but before the British. In Galle, however, the Dutch built the major constructions within the fort which most parts still remain today. 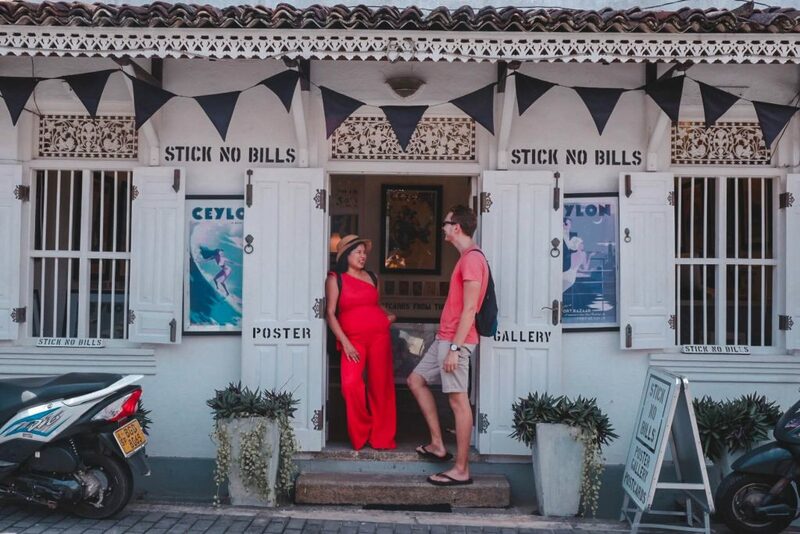 The Dutch establishments in Galle feature traditional Dutch design while adapting to Sri Lanka’s geographical features and climate. Stroll and take notice of gardens and Verandas that is typical of Dutch houses and establishments. 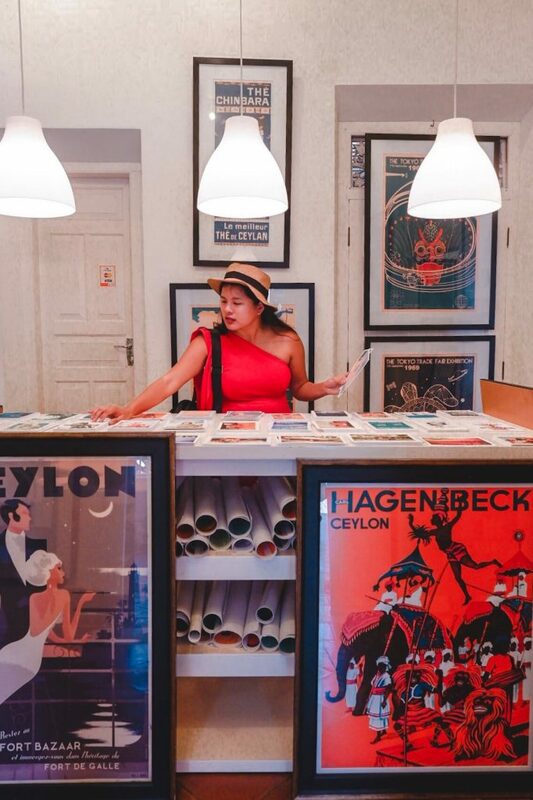 One of the best things to do in Galle is store hopping. Hiding behind the old colonial style establishments are very chic shops. These sell home décor, furniture, up to clothing and personal accessories. A great way to showcase the local craftsmanship in Galle which is truly impressive and unique. 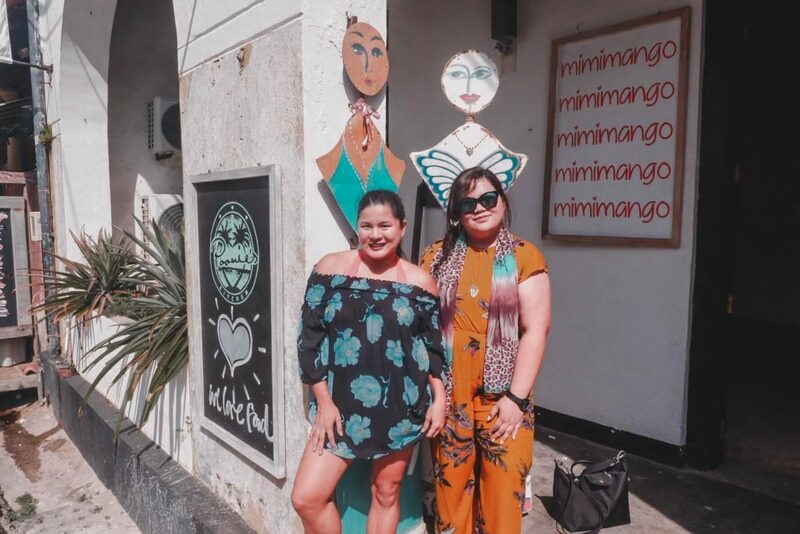 Particular memorable chic shops are the Barefoot which offers clothing, textiles and home products and the Orchids House which sells tea products, sarongs, gems, and handicrafts. The Galle District has at least 27 protected monuments listed by Archaeological Department of Sri Lanka. In Galle City, the listed protected monuments are usually Buddhist temples, Catholic Churches, and other colonial establishments. This includes the two sites we’ve already mentioned, the Old Dutch Town and the Fort Wall of Galle. First built during the British rule, the Anglican All Saints’ Church is one of the most stunning and well-preserved Churches inside the Galle Fort. It retains its Gothic revival architecture as its arched windows and walkway suggest. Another noticeable inside the All Saints’ Church are its huge stained glasses depicting the Bible verses. Not far from it is the Groote Kerk or Dutch Reformed Church. It is closer to the main gate of the Fort and less extravagant compared to the All Saint’s Church. But, both are fairly well-preserved. This Protestant Church was first built in 1755, making it the oldest Church of their sector. It has been relocated at least two times within the fort. Opposite the current location of the Church is its belfry where the whole Church used to be positioned. Another Church in Galle Fort is the St. Joseph’s Chapel. It is a modest Catholic Church and can be visited along the Lighthouse Street. 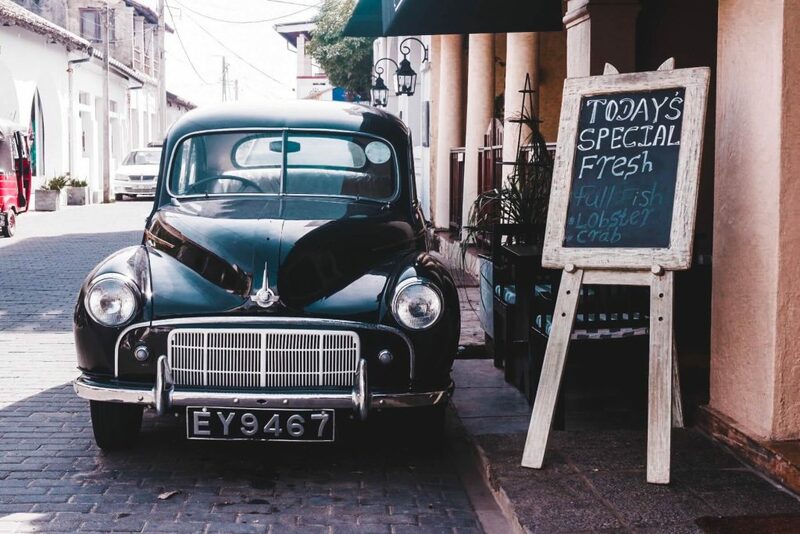 Traversing the old brick pavements of Galle Fort are well-preserved vintage cars. More than often, you can see them parked on the streets too. You can take a picture of these vintage cars. For a sure place to spot one, you can visit the Peddlar’s Inn Café. 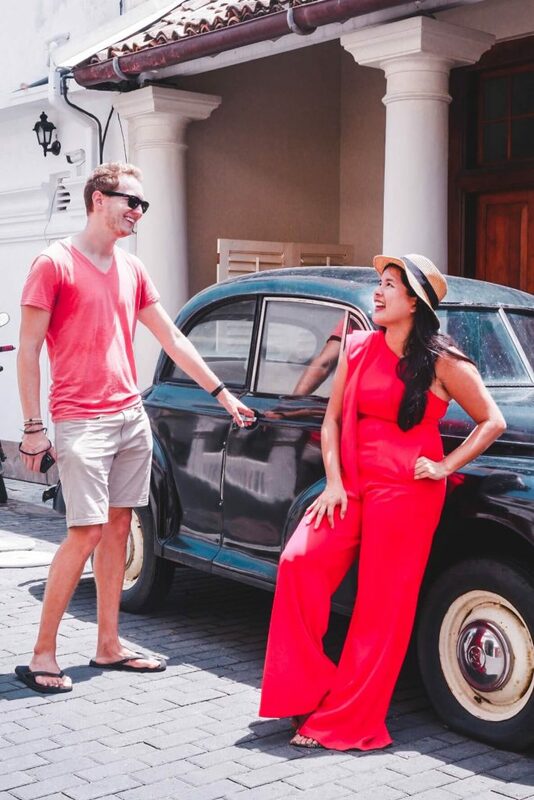 There are available vintage cars for rent too which you can use to tour around Galle. Continue your walk tour until you reach the lighthouse. This is a very scenic site and is similar to what we see in postcards. So, some really prefer to drop by the lighthouse before all other things to do in Galle. The original lighthouse of Galle Fort was built during British rule or in 1848. In 1934 though, it was eaten up by fire. It was then reconstructed in 1939. It was about 2 meters higher than the original. Sandwiched between the Galle and Unawatuna is an ideal spot for extreme water sports like surfing and standup paddle-boarding. From Galle, the Unawatuna is only roughly 15 minutes away by bus or tuk-tuk. Tuktuk fare rate for this route may cost 300 to 400 Rs (1.88 to 2.50 USD) while a bus fare rate for this is around 30 Rs (0.19 USD). The Unawatuna main beach is the most visited in southern Sri Lanka. For a quieter beach, you may ride a tuk-tuk to the Jungle beach for approximately 400 Rs (2.50 USD). It is only about 15 minutes from the town center of Unawatuna. In the Dream Cabana, Unawatuna is a rope firmly tied on a palm tree. For 500 Rs (3.13 USD), you can climb up in it to do an acrobat like a Greatest Showman’s character. 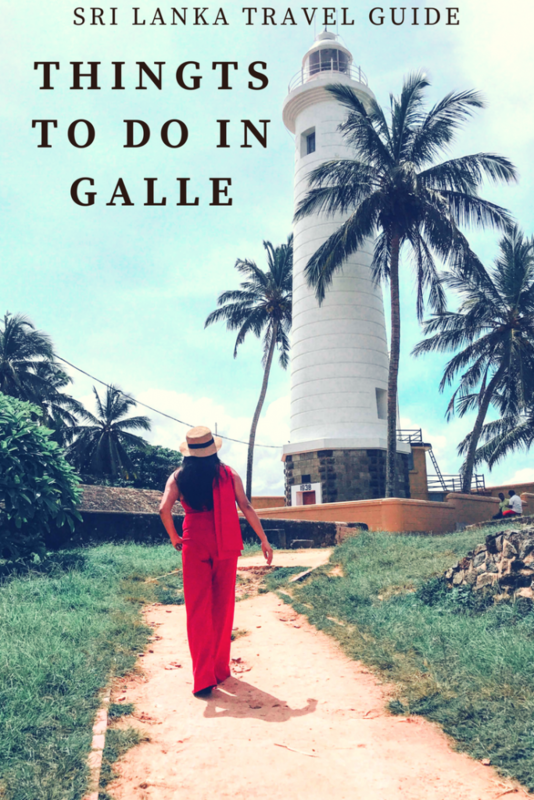 It is definitely one of the must-not-miss things to do in Galle district. 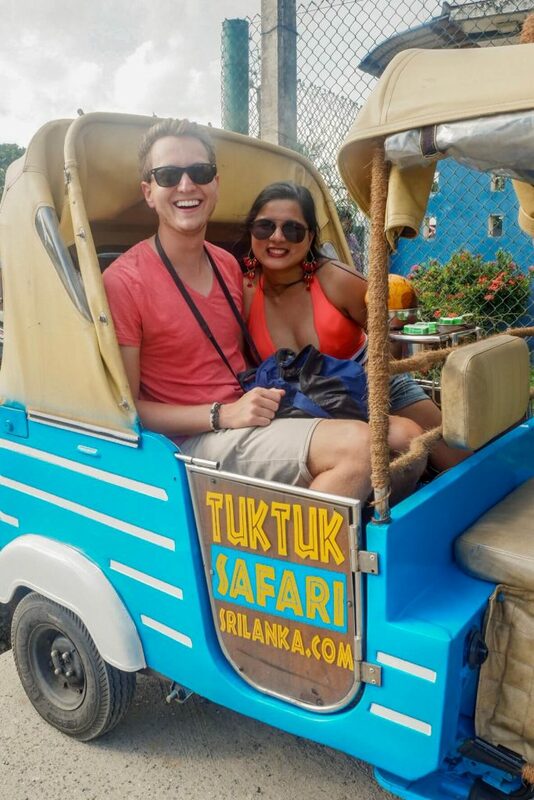 The Tuk Tuk Safari is a customized auto rickshaw for day tours in the capital city Colombo or south coast of Sri Lanka. 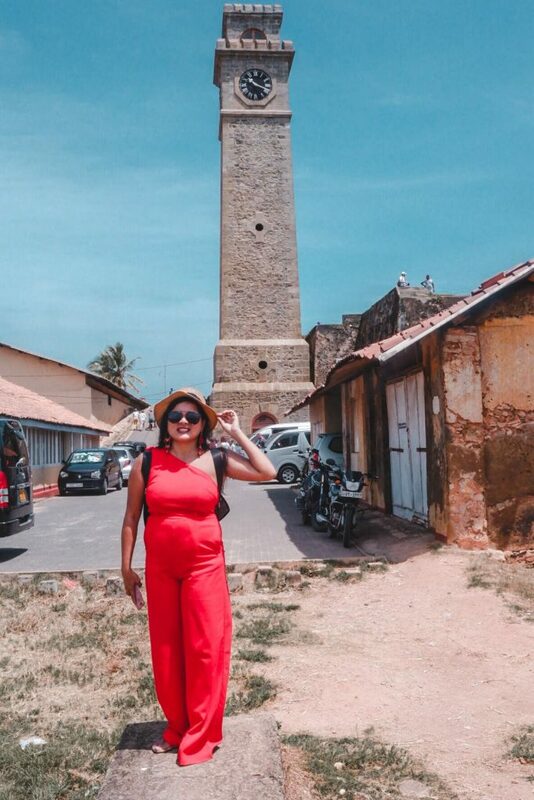 In south Galle, we were able to hop in one tourist site to another and a lot more in one day. We visited the Turtle Hatchery at the Turtle Conservation Center in Koggala. Also in Koggala, we took a tour around the “Spice Garden” and found their backyard of spices and store selling Ayurvedic products and fresh spices, all natural. Other things we visited are tea plantation, cooking class and secluded beach of Jungle Beach in Unawatuna. 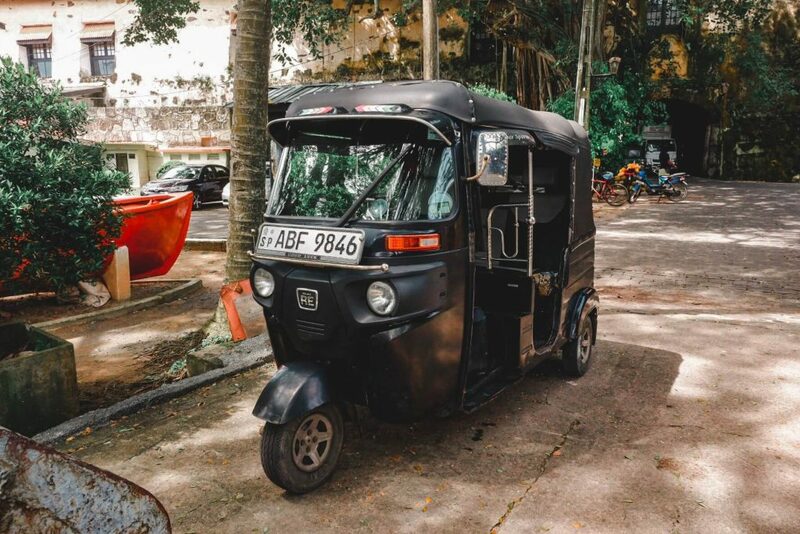 Actually, you can create your own itinerary for your Tuk tuk Safari. You may want to send them your request through their Facebook or website. The Main gate of the Galle is through none other than the north gate. As suggested by the coat-of-arms in the outer area of the gate, this was built by the British to take better control of the traffic in the Fort. The main gate is also originally a part of the fort built by Portuguese. In case you’re wondering, the Dutch old gate in Galle is located in the east area. Its still existing coat-of-arms is located in the inner area of the gate. 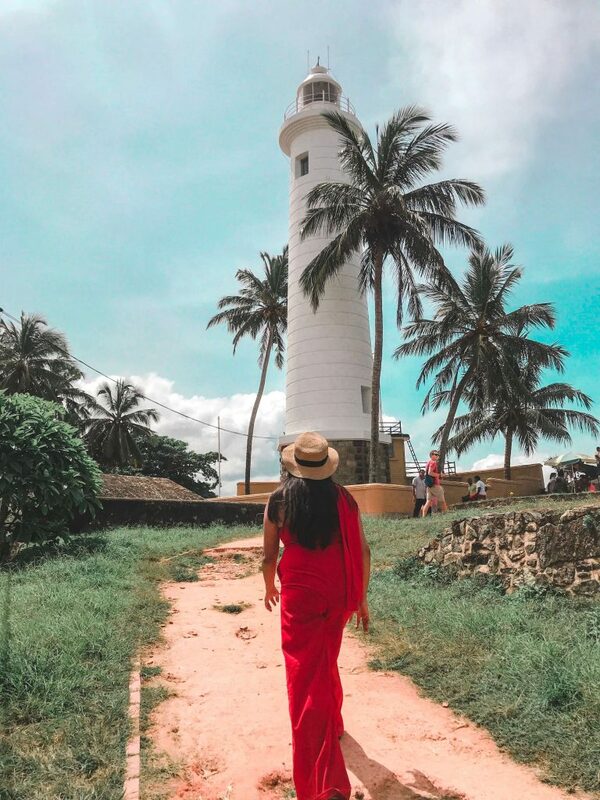 The Lighthouse is the ideal spot to start your walking tour in Galle. When you look closely at the Galle Fort walls, you’d notice corals and shells. No wonder it withstood the 2004 tsunami. The Fort Walls near the coast of Galle is a nice spot to view the sunset. The Flag Rock was formerly a bastion built by the Portuguese. For Dutch, it served as a beacon to guide sailing ships from hitting huge rocks. And, so, it got its name. At the Flag Rock is where the original lighthouse used to be positioned here as well during the Dutch rule. Today, it is a great viewpoint of the sunset as well as of daredevil stunts of locals, from the Flag Rock into the water. What makes the Galle Fort even charming is that it is not a ghost town. In fact, it is very much alive with schools, judicial courts, boutique shops and restaurants. 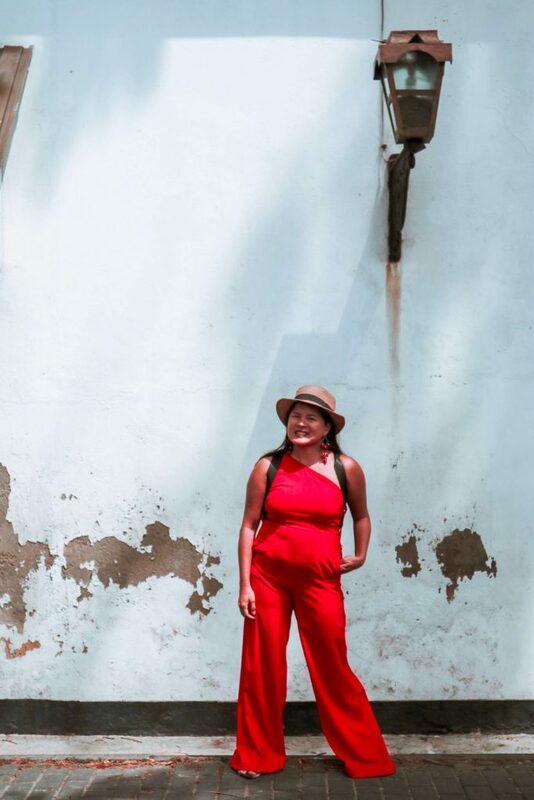 You can find them in the narrow and cobblestone streets of Galle Fort. The Old Dutch Hospital is now a commercial building where restaurants and shops can be visited. The two-story hospital, one of the oldest buildings in Galle, catered to Dutch seafarers. Later on, the British made an additional extension of the old building while making it in uniform with the Dutch design. Today, it is called the Dutch Hospital Shopping Precinct. 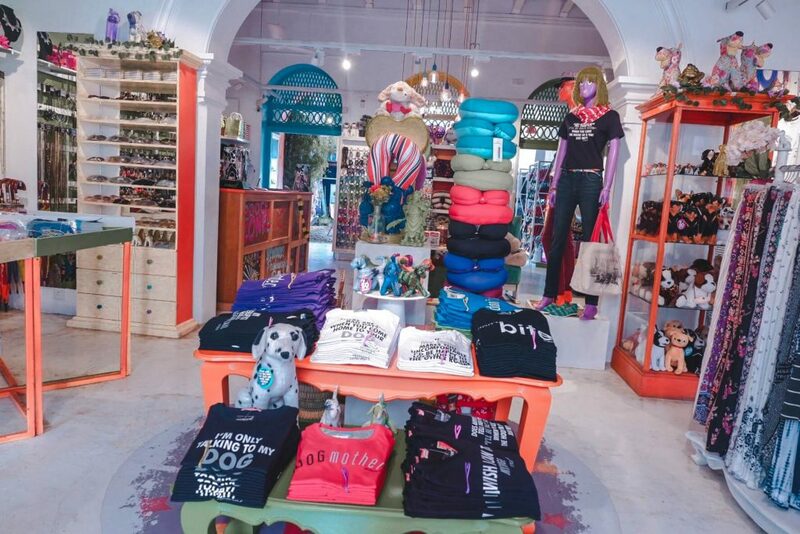 You may check out the on-site jewelry shops, souvenir shops, and bar and restaurants. For the restaurants, they offer seats on the verandah which faces the sea. The Fort Bazaar is a colonial heritage building which, just in 2016, was converted into a stylish hotel within the walls of the Galle Fort. It retains the old colonial architectural design. The Fort Bazaar features 18 rooms with verandah, courtyard, restaurant and bar, spa services, a small cinema, and an outdoor pool. 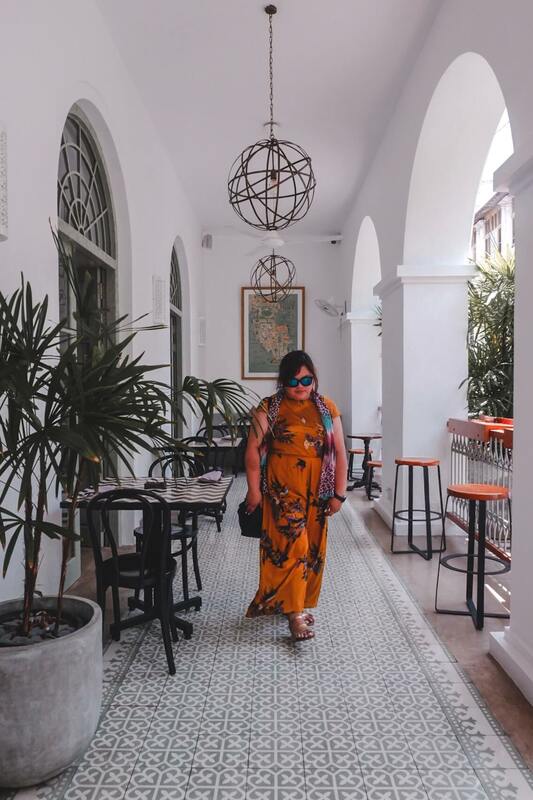 The Fort Printers is another chic hotel in Galle Fort which retains Dutch architectural design but with modifications by British. It has formerly served as a home to a Buddhist school, a local bank, and a printing company. The Fort Printers is composed of one building and two villas with 18 suites in total. 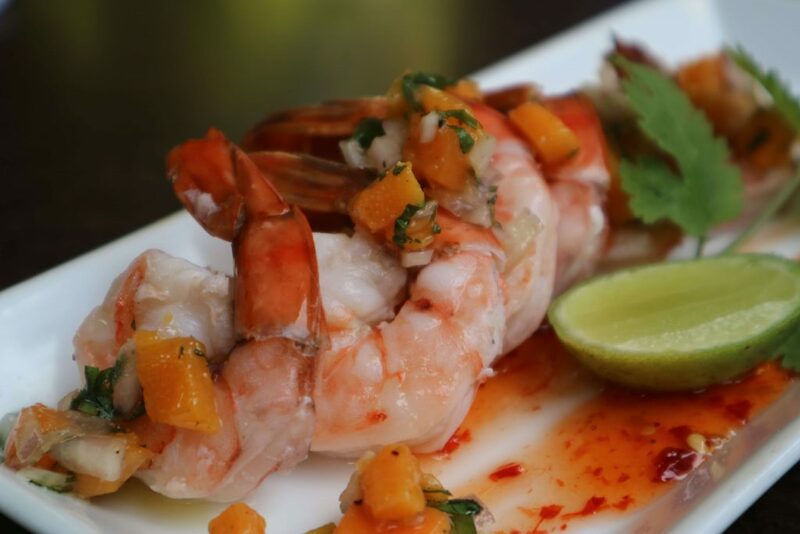 Its in-house restaurant serves Sri Lanka cuisines and Mediterranean inspired dishes. The Stick No Bills Postcard Gallery is located on the Church Street. 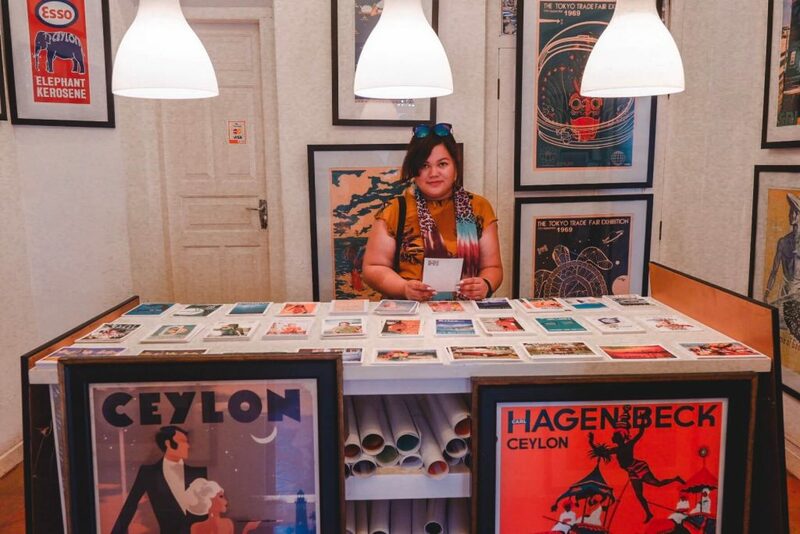 With a theme of Ceylon or Sri Lanka, they offer quality postcards and posters. 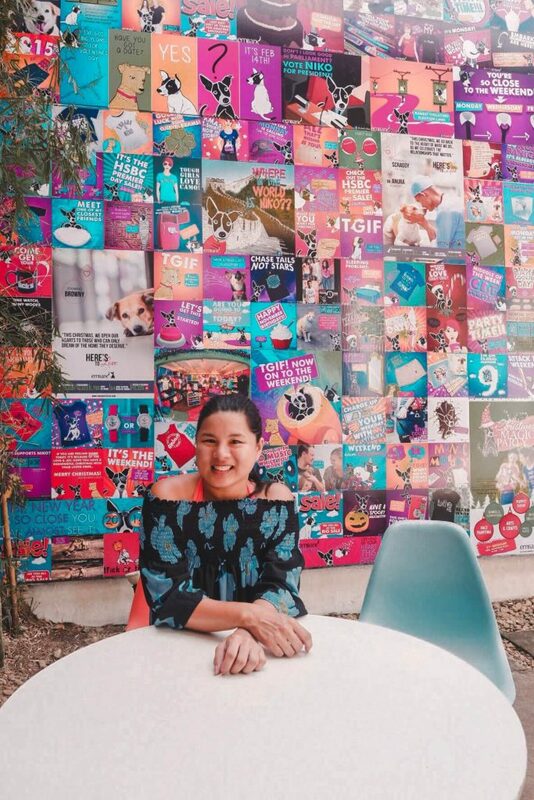 These prints feature vintage style and are copyrighted. A share of their earnings goes to their chosen charities like the Sri Lankan Wildlife Conservation Society. The Stick No Bills Postcard Gallery also has a gallery for and in Mallorca. The Dutch Market is an old market in the Main St. of Galle, near the station, that has been standing for over 300 years. Today, you can find fresh spices, fruits and vegetables and a lot more in the Dutch Market, Galle. Another ideal viewpoint to catch the sunset as well as to the coast of Galle is located in the west of Unawatuna. Japanese Buddhist monks spearheaded the construction of the Rumassala Peace Pagoda in 2005. This is done for the civil war in Sri Lanka raging back then but ended in 2009. This is a sacred site so a dress code may be required. 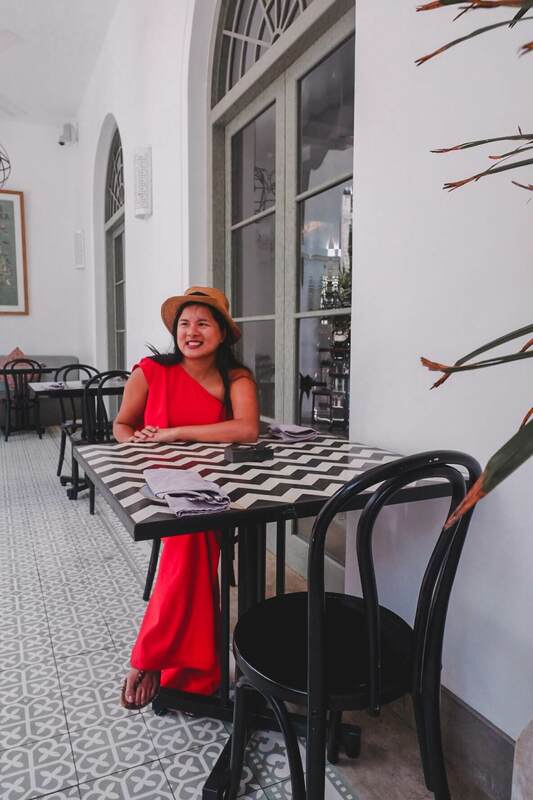 When in doubt, always bring a sarong. 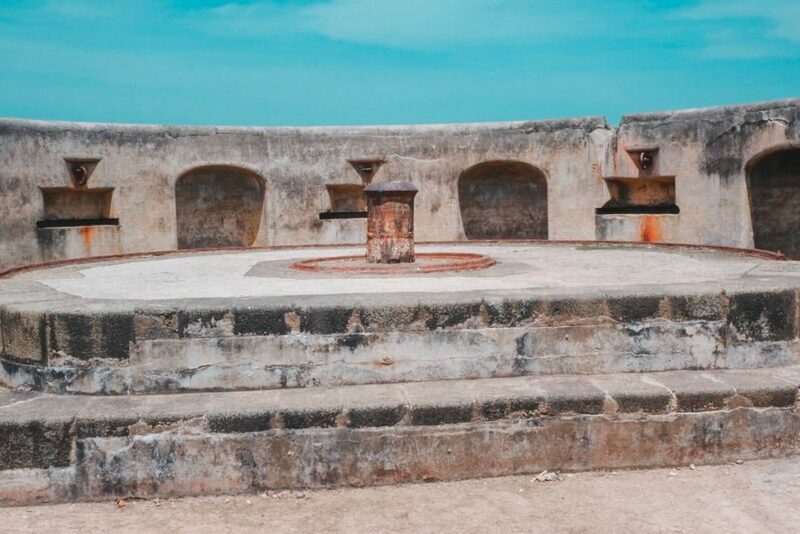 Fortaleza, Galle is composed of five boutique hotels spread within the walls of the Galle Fort. It is though most popular for their courtyard restaurant and bar nestled in No. 9 Church Cross Street. 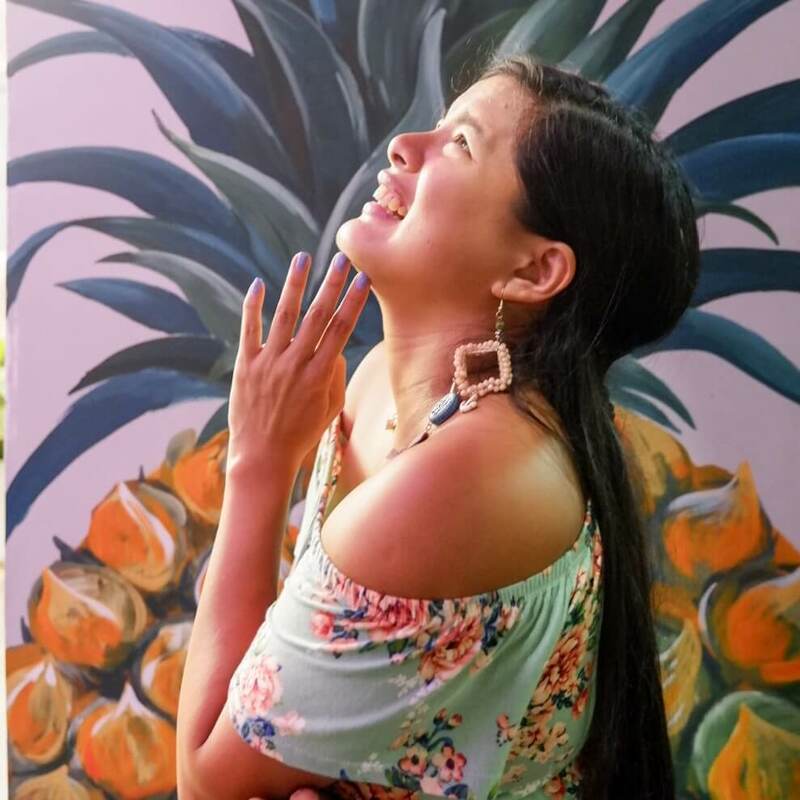 The Courtyard restaurant of Fortaleza offers western specialty cuisines and a few Asian dishes. 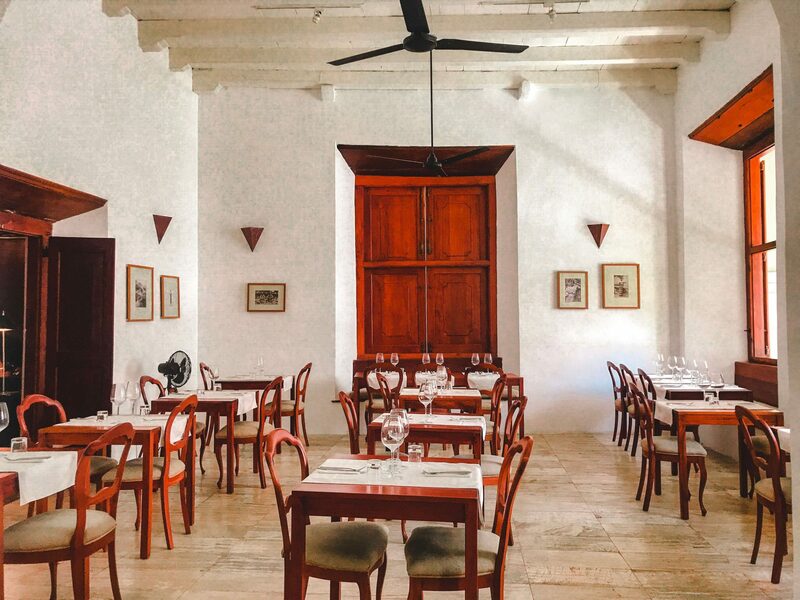 The Fortaleza, Galle is loved most because of its laid-back but charming colonial vibe. 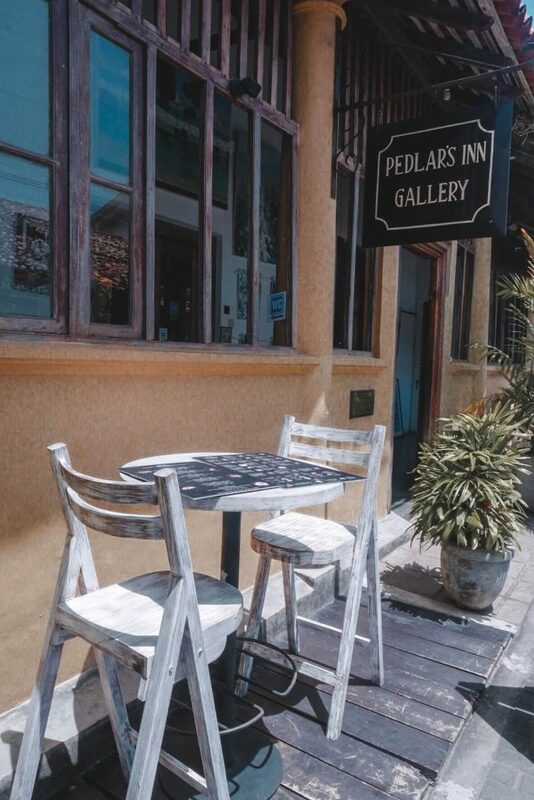 For something Sri Lankan, Asian, Italian, or seafood, you may drop by the Peddlar’s Inn Café. If you’re craving for something sweet, order their chocolate brownies topped with ice cream or their homemade Italian gelato. The former British Post Office was renovated from the guesthouse and then into a café with a few tables. Today, you can enjoy your meals inside the refurbished colonial office or outside, either on their back patio or along the street. You can’t miss it because of its clean yellow front walls and its Minor Morris vintage car usually parked outside the cafe. Located in the Galle Dutch Hospital Shopping Precinct, the Sugar Bistro and Wine Bar serves the same menu as those in their Colombo branch. You’d definitely approved of their signature burgers like the Sugar Daddy, crab burger, and classic beef burger. Also on their menu are other western dishes, Sri Lankan, and Asian cuisines. 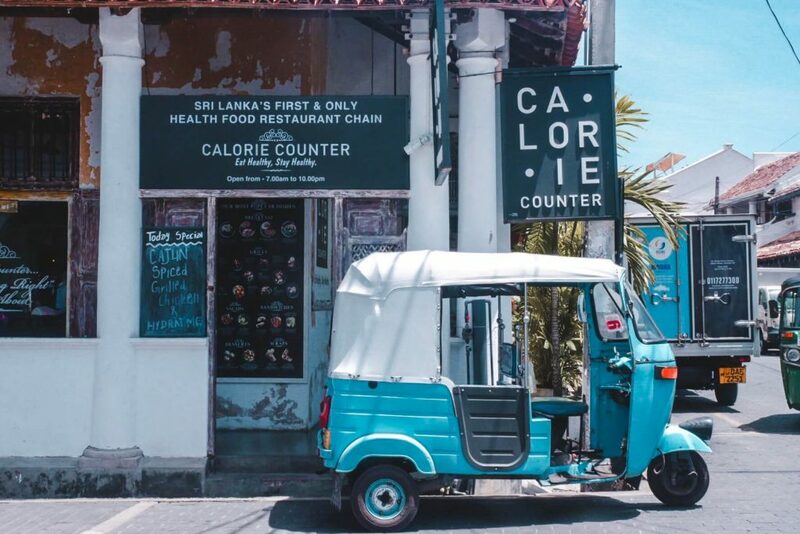 The Calorie Counter Galle is one of the great finds in Galle. It promotes a healthy eating lifestyle and sells nothing but healthy food options. People loved their sandwiches, tofu pancakes, and their chocolate mousse. The Calorie Counter Galle must be doing something right. It is already its second branch in Sri Lanka. And, Sri Lanka is its third country to stay in. The Poonie’s Kitchen is a courtyard restaurant with a koi fish pond. It is one of the places to visit in Galle especially for vegetarians or health-conscious. Try their colorful thali salad, squash or potato fritters, and carrot cake or fruit-based cake. All of these and everything on their menu is made from organic ingredients. 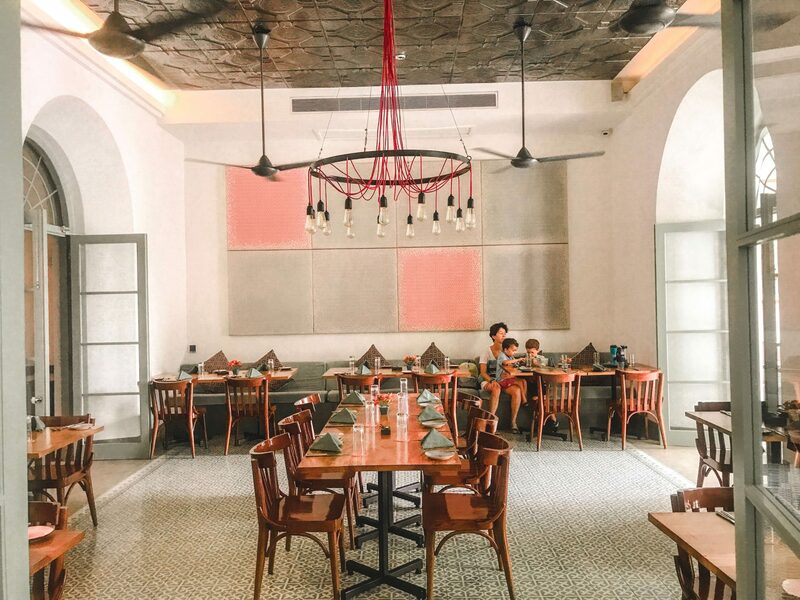 In the elegant hotel of Fort Bazaar, you can walk-in straight to their restaurant, the Church Street Social. They have indoor seatings inside their classic colonial settings and al fresco seating on the courtyard. On the menu of the Church Street Social, you can order their Asia dishes like tuna sashimi, Mezze platter or a platter of Mediterranean snacks, and Moroccan lamb tagine. They also offer western options. And, don’t forget to try their coconut lime éclairs for the dessert. 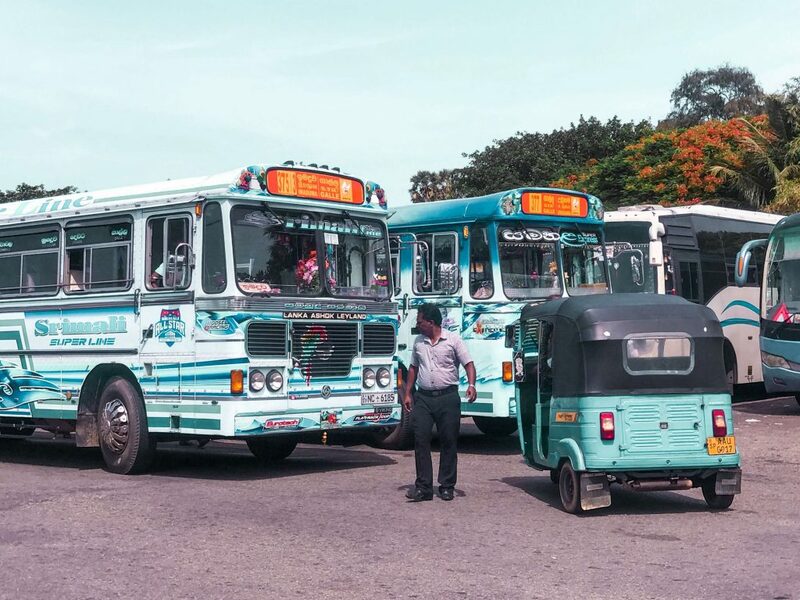 There are minivans and buses bound to Galle in the Bastian Mawatha Bus Station, east of Fort Railway Station. The ride to the old buses traversing the coastal road may cost around 155 Rs (0.97 USD) while the minivan and air-conditioned bus fare rate cost at least 300 Rs (1.88 USD). In Bastian Mawatha Bus Station, west area of Colombo, you can ride a bus bound to Galle passing through expressway. Another bus station near Colombo, particularly in its south-east part, is at the Maharagama Bus Station. To get here, you can ride bus nos. 112 or 138 from Colombo. It will take roughly an hour. A taxi ride may be more convenient if you’ll be coming from the airport or Colombo Fort while carrying luggage. Taxi fare rate may around 1,400 to 3,600 Rs (8.75 to 22.51 USD). Once you’re in the Maharagama bus station, you can ride Southern Express bus. They are available from 5 in the morning until 4:45 in the afternoon. Bus fare rate may cost 375 to 400 Rs. (2.34 to 2.50 USD) to Travel time from Mahagarama to Galle will only take an hour and a half, or more or less. You can ride a train at the Maradana Station where you can get a higher chance of getting seats. It is only 2 km away from Colombo Fort. From the main airport, you can ride a taxi to reach Maradana Station for roughly 2,500 to 3,000 Rs (15.63 to 18.75 USD). Travel time from the airport to Maradana Station may take an hour depending on traffic condition. Once you’re in Maradana station, you can buy a 2nd class ticket for 180 Rs (1.13 USD) while 3rd class train seat for 100 Rs (0.63 USD), both drop off at the Galle. It may take 2 to 3 hours, or more or less. Finding a train bound to Galle shouldn’t be a trouble since they are available all day. Private transfer from Colombo to Galle may charge around 78 to 104 USD. 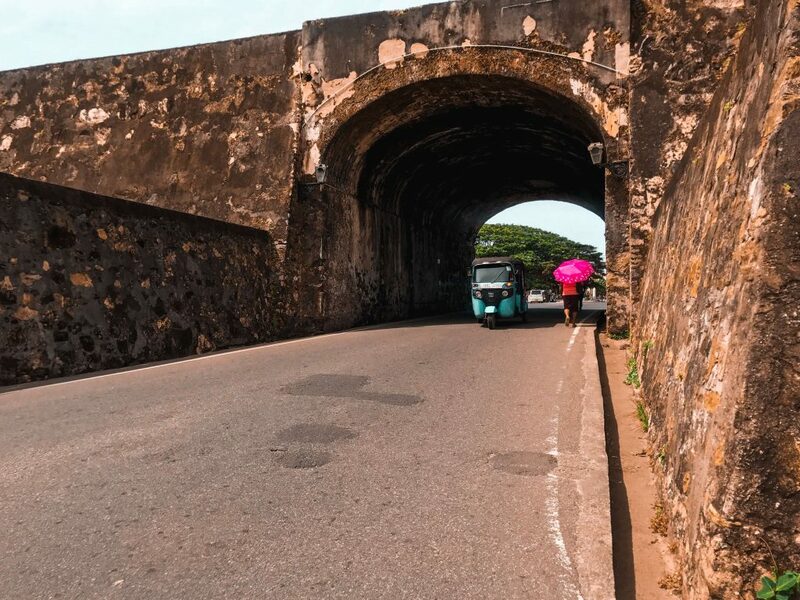 By the main gate, many tuk-tuk drivers will offer you a tour inside the walls of Galle Fort. In a hot day we visited the Fort, one driver approached us and offered to take us around for only 300 Rs (1.88 USD) per hour. He even said it was going to be a long walk. Since we didn’t research much about this area, we actually said yes. Then, during the trip, we realized that the fort was only small and can be explored by just a walk tour. Tour around the Galle Fort is best to be on foot. Just go up the wall and just follow it. The walk by the edges is so pretty and breezy anyway from the bottom. When riding the tuk-tuk, I feel like it’s more tiring ‘cause you’ll to alight and ride the tuk-tuk everytime we need to check out the sections of the wall. For my friend Tina though who can’t walk for long under the heat, she liked the tuk tuk . I noticed though she didn’t see much as she seemed tired to alight the tuk tuk and to get a closer look at the view per sections of the wall. And, then, ride and alight again the tuk tuk to see the next area. So, really it’s best to just walk it straight. After checking out the wall along the coast area, you can walk along some narrow and cobblestone streets. The streets are really cute. As we walk around, we stumbled upon the jewelry store MIF Jewels in Peddlar Street. There, we exchanged our foreign money to which he gave a good rate. Inside the fort is easy to get around to. Perhaps take a tuk tuk to get to the Newtown. We weren’t super interested as we just wanted to eat and all. Plus, the market looks like what we have back home but for others, it might be of interest. Galle had a lot of cute hang out spots. It’s easy to fall in love with the area despite being so small. We were here during off season so we had a lot of space I don’t know about during their peak season. We actually based ourselves in Weligambay. From Weligambay, Galle is an easy 40 minutes bus ride heading west. No hassle. We got to Galle at 9:45 AM and just explored the site until 3:30 PM (That’s about a 6-hour tour around the Galle and nearby sites). Thereafter, we did the Tuk Tuk Safari south of Galle.